USA Building Supplies carefully monitors each market we serve, responsive to customer needs while adhering to new developments. When needs develop, we act. When more is needed, we expand. The result is a complete and constant expanding line of affordably-priced mailroom and shipping supplies, distribution supplies, building & apartment supplies and warehouse supplies. Our product lines are great today and will be even bigger and better tomorrow! 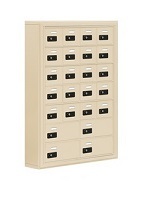 USA Building Supplies is your prime online source for the best mail and shipping room products. We offer the best selection of low-priced mail and shipping room items. You’ll assure excellent organization and shipping productivity. Our experts at USA Building Supplies will provide newly designed packaging, shipping stations and all manner of mail handling products – mail hampers, mail sorters, mail carts, mail tote racks, mail tray carts and mail bags. Whether your operation is large or small, products from USA Building Supplies will be a big boost! 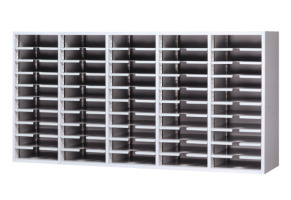 USA Building Supplies is your leading source for competitively-priced storage and shelving. 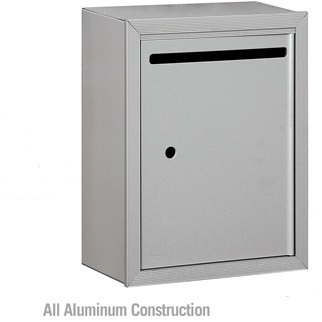 Choose from our extensive line of storage cabinets, x-ray cabinets, safes, industrial shelving and more. Material handling products from USA Building Supplies include mobile carts, poly box trucks, platform trucks and pallet trucks. Our distribution supplies are well-made, durable products built to stand up to even the toughest industrial applications. In response to our customers, USA Building Supplies developed a complete line of building and apartment supplies, including site amenities, floor mats and commercial mailboxes. Shopping here is the affordable way to keep your building look great while complying with all standard government regulations. Our Divisional 10 specialties include everything from restroom accessories and bathroom stalls to sanitary napkin disposal units. Whatever you want – whether for an apartment building or new construction – we’ve got it all! With USA Building Supplies, you don’t have to pay the most to get the best! We offer affordably- priced warehouse, safety and dock products. Our selection is extensive including security partition systems, work platforms, machine safety guards, safety mirrors, dock plates and more. We carry only the best and most durable, long-lasting and well-designed warehouse products. They are all affordable, reliable and cost effective. Our warehouse supplies are just what you need to assure a safe, productive and more profitable workplace. Shop our mailing supplies and other building supplies online now for high-quality, affordably-priced and profit-generating products from your only building supply source -- USA Building Supplies.